Abstract: Generally speaking, taking exercise or taking a trip is a good idea. How about combining them together? That will be perfect. In fact, Fosjoas self-balancing scooters can make it. In the modern times, the material life quality is increasing with each passing day, which is helpful to improve spiritual life. Besides routine workdays, people are willing to select a healthy leisure mode. Generally speaking, taking exercise or taking a trip is a good idea. How about combining them together? That will be perfect. In fact, Fosjoas self-balancing scooter can make it. In other words, mounting Fosjoas self-balancing scooter to have a trip is also a way of taking exercise. Then, both the body and the mind can be relaxed at the same time. Fosjoas electric scooter adopts aerospace attitude control theory, fuzzy software algorithm and gyroscope system to realize front and back self-balancing. Then, riders can lean forward or backward slightly to finish such operations as moving forward, accelerating, decelerating and braking. The left and right self-balancing is similar to bicycle, which is by twisting body. During the mounting process, the muscles of arms and legs are well toughened. 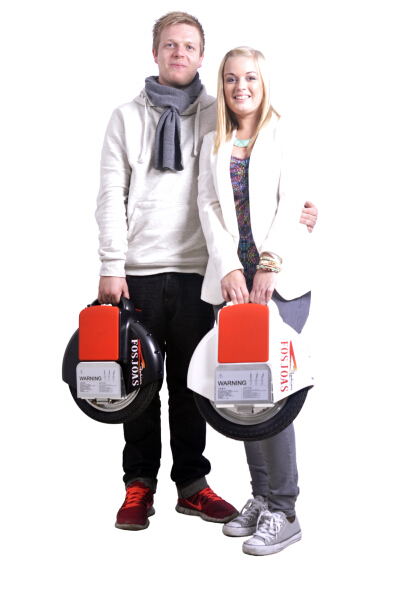 If mounting Fosjoas electric scooter as a life habit, the physical quality of riders will be improved largely. Many people used to drive a car or ride a bike to take a trip on weekends. But now, more and more people get used to mounting Fosjoas electric scooters. After all, traffic jam is too serious, while bicycling is too laborious. However, electric scooter not only is labor-saving, but also can let riders stop to appreciate beautiful scenery anytime and anywhere. Compared with bicycle, Fosjoas electric scooters are much smaller and lighter. Therefore, they are very convenient. More importantly, Fosjoas self-balancing electric unicycle are eco-friendly, because they are driven by electricity that is emission-free. Although there are many kinds of leisure activities, the green and healthy one must be Fosjoas electric scooter. More and more people will be aware of that.